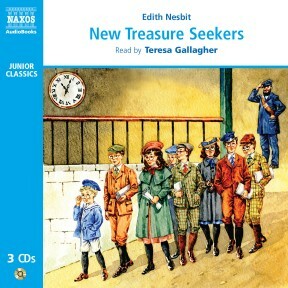 This is the third in Edith Nesbit’s ever-popular ‘Treasure Seekers’ series, after The Treasure Seekers and The Wouldbegoods. This classic children’s tale brings back the much-loved characters of Dora, Oswald, Dicky, Alice, Noel and H.O. Bastable as they stumble into yet more comic adventures. Teresa Gallagher read the previous two books in this highly praised series and returns to recount more japes in her colourful array of children’s voices. 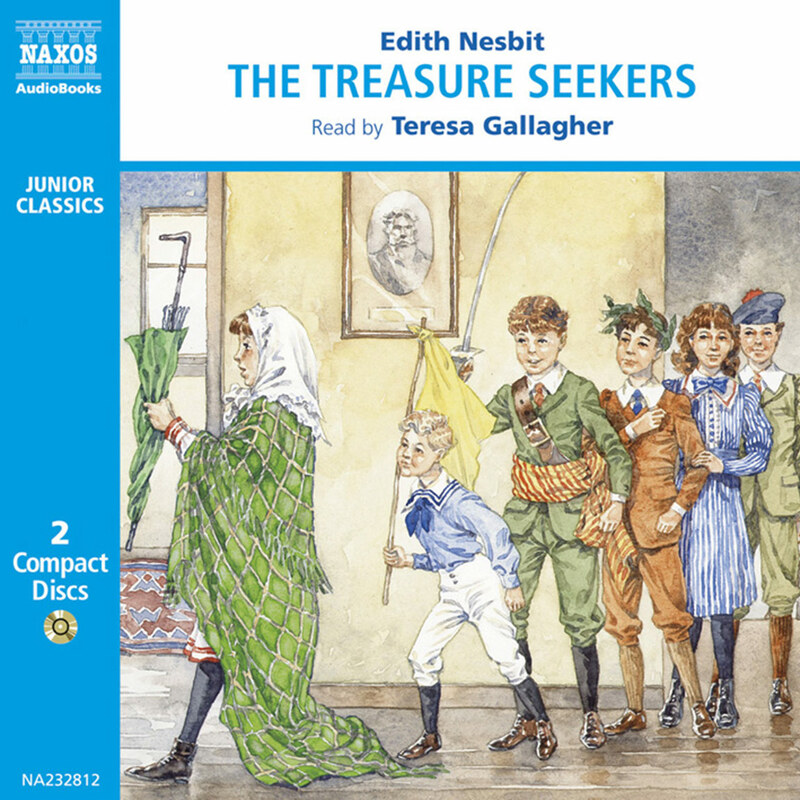 E. Nesbit’s The New Treasure Seekers takes us back to the start of the last century and the six Bastable children who get into scrapes by always trying to be good. 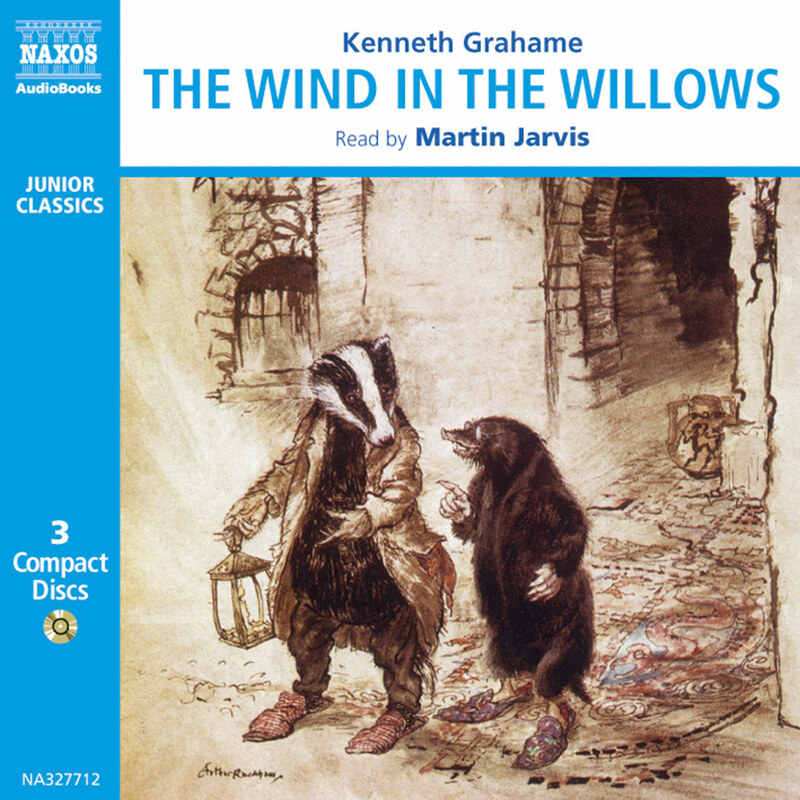 Older children will sympathise with the senior Bastables as their younger siblings create havoc – while all listeners will chuckle at their Just William-type antics. This Bastable book stands on its own but the earlier The Treasure Seekers and The Wouldbegoods are also available. 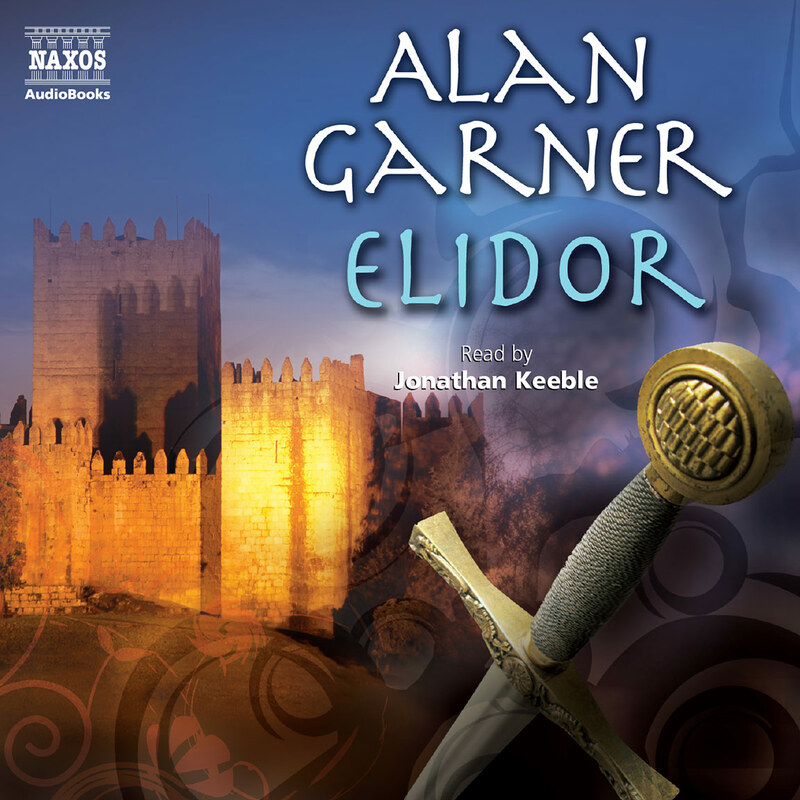 And though they sound as though they are being read by a cast of dozens, it’s because reader Teresa Gallagher gives every character a distinct voice – an amazing performance. Suitable for 9–15 year olds. The treasure-seeking six are back! Dora, Oswald, Dicky, Alice and Noël (twins) and H.O. (Horace Octavius) have been through many adventures. Their search to ‘restore the fallen fortunes of the House of Bastable’ in The Treasure Seekers resulted in all kinds of trouble, but the children felt proud of acquiring the Indian Uncle at the end of it all – surely the result of their digging. They and their father went to live with him in his beautiful big house. 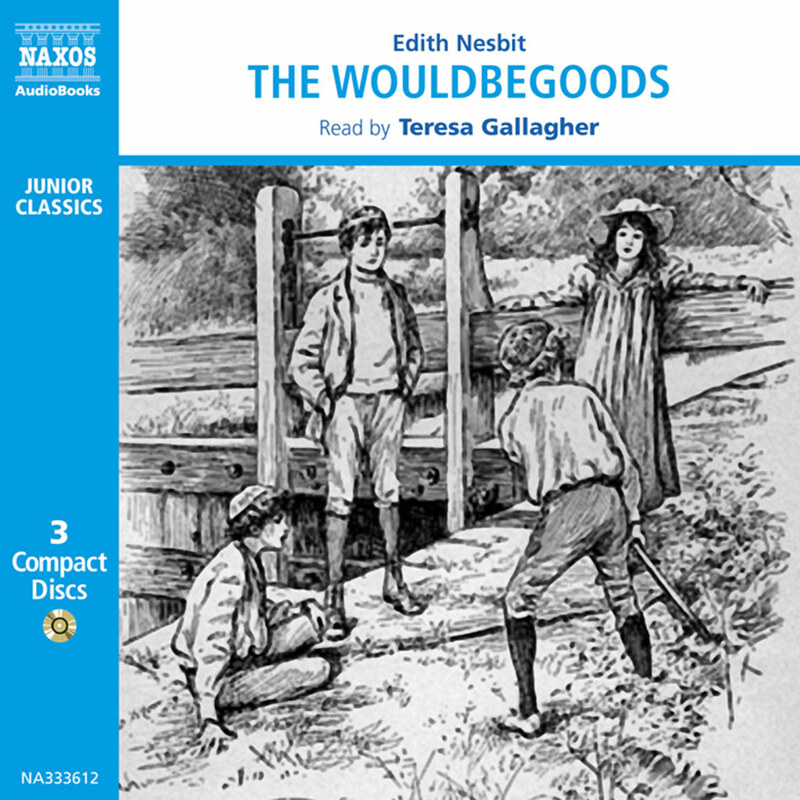 In The Wouldbegoods they were sent to Albert’s uncle’s house in the country, and having been punished for an over-enthusiastic attempt at making a jungle the conscience-stricken girls created a ‘society for being good in’. This was modified to the ‘Wouldbegoods’, since they can never guarantee their good behaviour even if they try really hard! Why, everyone here is a brewer, or a baker, or a banker, or a butcher, or something dull. Over there they’re all bandits, or vineyardiners, or play the guitar, or something, and they crush the red grapes and dance and laugh in the sun. More adventures follow, and the children find a brand new focus for their treasure-seeking skills. When they stay with Miss Sandal, they are horrified by her ‘plain living’ and decide that they must help to end her poverty. They try all kinds of enterprising activities, and even become gipsies and wandering minstrels. And since they are older now, they are keen to have real experiences – especially Dicky and Oswald, who feel ready for smuggling a keg of pretend-brandy across the channel. Little do they suspect what they will become involved in! As usual, the group meets all kinds of colourful characters, some a little frightening (like Mr Sidney, who wants to make everyone fly), some intriguing and exciting (the Viking man), some really annoying (Stokes the coastguard), and some who become firm favourites (Mrs Red House and Mrs Bax). This is the third and final novel about the Bastables, and sparkles with all the wit and childish energy of the first two. 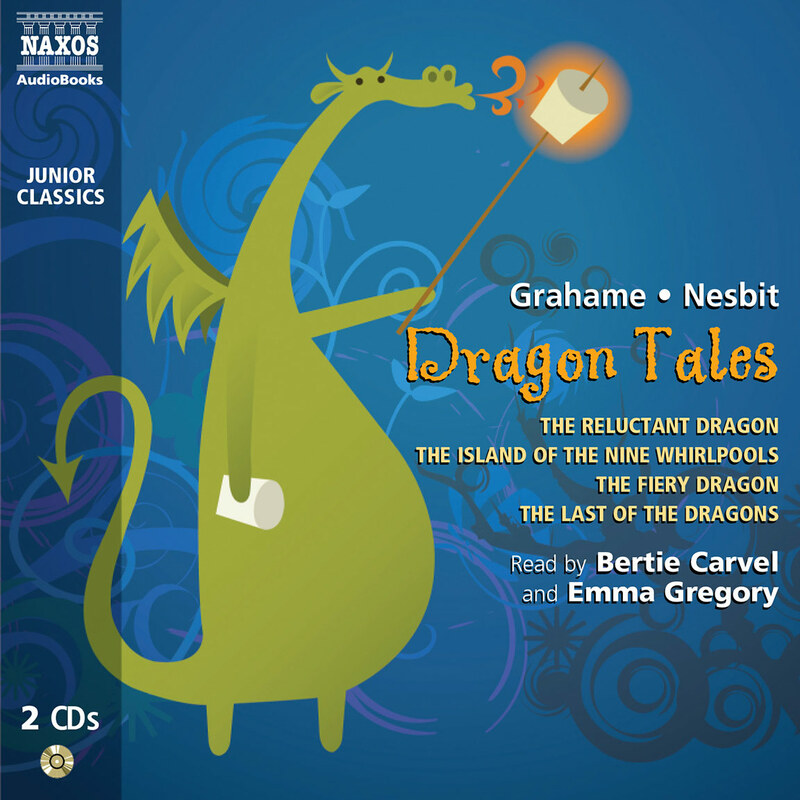 All three are excellent examples of Nesbit’s ability to capture the innocence of children – their charm, their boundless energy, and their capacity for getting into trouble without even trying. According to her biographer Julia Briggs, she was ‘the first modern writer for children’, and her most popular books sprang partly from her own experiences. Born in 1858, Edith Nesbit was the youngest in her family. She had two brothers, a sister and a half-sister, and during her earliest years they all lived in an agricultural college in London which had been started by Edith’s grandfather. Edith described this time of her life as an ‘Eden’: she felt happy and secure. When Edith was still a little girl her father died. From then on, the stability of her life changed: the family moved around a lot and Edith went to various boarding schools, including one at which punishments came thick and fast for all kinds of tiny misdemeanours. Her mother told her she would get used to it, even though Edith cried herself to sleep at night. But she hadn’t been at that school for long when it was all change: they were off to the south of France where her mother had found a house. Edith nearly had to stay behind, but she begged to be taken with her mother and sisters. Her brothers, Alfred and Henry, remained at another school in England. To begin with, Edith was placed with a family so that she could learn French. She and the daughter were the same age and they got on immediately. She had a wonderful time. When her mother moved again to a different area of France she was sorry to leave her French family. From a laburnum tree in the corner of the lawn we children slung an improvised hammock, and there I used to read and dream and watch the swaying green gold leaf and blossom. The children could run through a field at the back of the house to a railway line – and there is the seed, planted in Nesbit’s memory, that later grew into her popular story The Railway Children. From the age of 14 to 17 Nesbit began to concentrate on writing poetry and even had some of it published in several magazines. 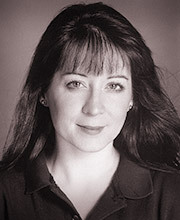 She was to write a lot more poetry over the years, as well as her novels. The young poet grew into a bright and striking woman, and married a charismatic bank clerk called Hubert Bland. The two moved in intellectual circles and were both socialists. They formed a debating group, which, as it gained more members, became the Fabian Society. During the 1880s Nesbit was a lecturer and writer on socialism, but as she became a successful children’s writer these activities diminished. Her most famous novels include The Treasure Seekers (1898), The Wouldbegoods (1899), Five Children and It (1902), The Phoenix and the Carpet (1904), The Railway Children (1906) and The Enchanted Castle (1907). New Treasure Seekers was written in 1904.